The increasing rate of car accidents in Los Angeles is soaring above national averages. According to the California Highway Patrol, car accidents in Los Angeles have increased by 29 percent in the last four years as compared to the 12 percent increase nationwide. To better understand where accidents occur in Los Angeles and why, the University of Southern California’s School of Engineering partnered with the School of Communications and Journalism to determine the most dangerous times and places to drive in Los Angeles. They discovered that the most dangerous time to drive on Los Angeles freeways is from 5-7 p.m. on Friday. Of the 30,756 car accidents that occurred on Fridays in 2016, nearly 5,000 of those accidents occurred during rush hour traffic. In all, there were 23 percent more accidents on Friday evenings than on Mondays at the same time. “After combing through the accident data for the past four years, Friday night consistently wins the unenviable prize for the most dangerous,” USC’s analysis concluded. The university’s data also identified the most dangerous places in Los Angeles to drive. At the top of the list is the two-mile stretch of highway known at the 57/60 Confluence where the 57 and 60 freeways meet. This is a popular route for Valley commuters, and more than 350,000 vehicles use this section of freeway every day. On average, 186 accidents occur on 57/60 confluence each year. Confusing signage, an abundance of semi-trucks, and multiple merging lanes are several factors contributing to the collision rate in this area. Other high-risk freeway areas include where the 605 freeway meets the 5 freeway near Santa Fe Springs, with 174 collisions each year, and the where the 91 freeway meets Green River Road, with 155 collisions each year. Intersections in Los Angeles can be equally as dangerous as the surrounding freeways. More car accidents occur at the intersection of Sepulveda Boulevard and South Vermont Avenue in West Carson than almost anywhere else in the nation. 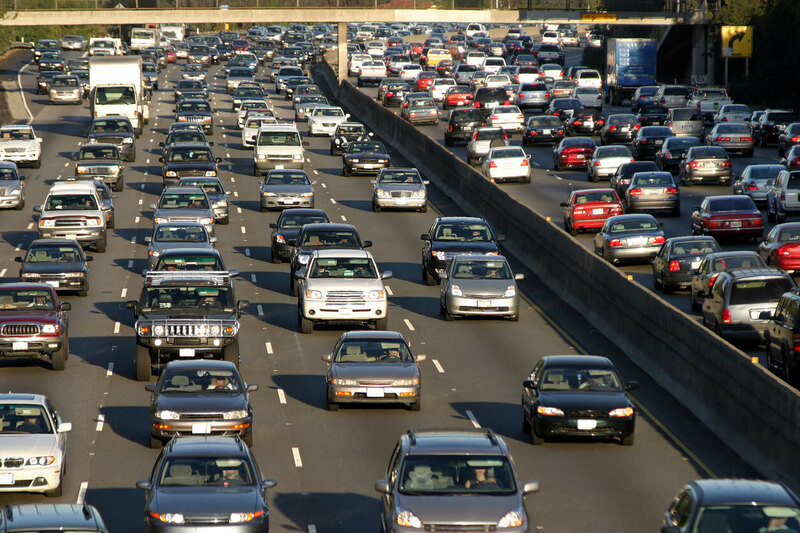 California drivers can avoid joining these growing car accident statistics by steering clear of these intersections and freeways during high-traffic hours, especially Friday evenings. If you are injured in a car accident on a Los Angeles freeway, you should seek the counsel of an experienced car accident lawyer. Contact Steinberg Injury Lawyers, 24/7 at 1-800-989-6385 for your free case evaluation.